For your enjoyment... some more CF videos! I hope you've all been enjoying the video tutorials this week from our Creativ Festival weekend. But just to prove to you all that's not "all work, no play", here are some of the funnier memories! Here I am, losing MY marbles..
And some final words (or not) from Big-Shot-Brent! Thanks again to everyone who came to see us -- it was a real blast and we'll be back at the Fall show at the Metro Toronto Convention centre in October!! Big-Shot-Caroline: Video #1 - What NOT to do with your Big Shot! 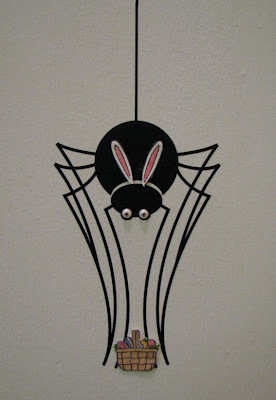 It's also the last day to participate in April's draw for my Super 7 prize of the month: Darling Dots! If you don't win this month, that's okay -- I have a new set going up for grabs in May too. 3 Fabulous May Promotions coming!! 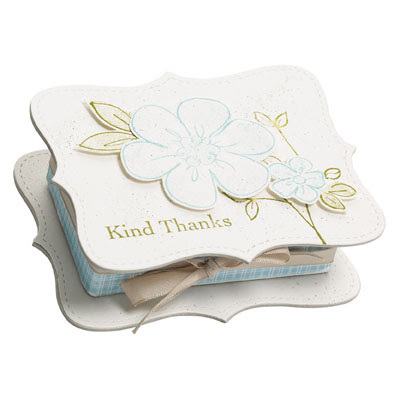 May is only a few days away, and in honour of National Scrapbooking Month Stampin' Up! 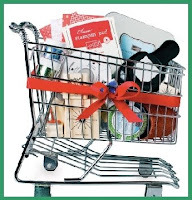 is offering 3 fabulous promotions! 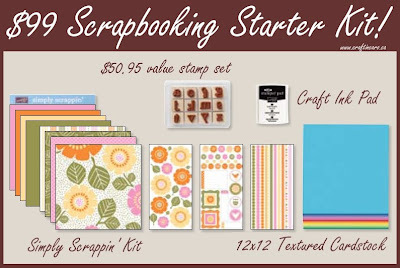 1) $99 Scrapbooking Starter Kit! Join Stampin' Up! as a demonstrator in May for only $99 with our limited-time Scrapbooking Starter Kit, and get a discount on all your orders + many other perks! Please note: Each of the products listed above may be substituted for like items, up to same price value. You can order yours ONLINE beginning May 1 (password: CANADA) or contact me for additional details! 2) Buy 3, Get 1 FREE Designer Series Papers! Buy three packs of Designer Series paper (including our Specialty Designer Series paper) or 12" x 12" textured card stock, and get one FREE! You can even mix and match your paper; for example, you could buy two packs of Designer Series paper and one pack of 12" x 12" textured card stock, then choose either a pack of Designer Series paper or textured card stock for free! 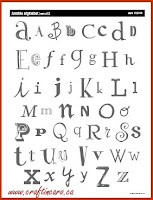 3) 20% off New Alphabet Stamp set!Buy a sneak peek stamp set from the upcoming 2009-2010 Idea Book & Catalogue -- Jumble Alphabet (set of 52; double-mounted)--at a 20 percent discount. Sale price will be only $46.36! Don't these all sound fabulous? May is going to be a truly amazing month indeed! Big-Shot-Brent: Video #3 - Fabric "Flutterbies"
Here's Big-Shot-Brent, back with yet other video tutorial from this weekend's show -- this time he's playing with what he calls "flutterbies"! You'll notice that he pretty much ignores me and my babbling as I'm filming it, eh? Cracks me up everytime! 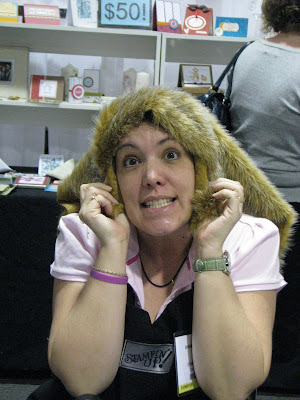 Today's post is another video tutorial from Big-Shot-Brent (aka as my husband) at the Creativ Festival, from when he was demo'ing how to make what he calls "Teddy Bear Paws" with the Big Shot machine. If you'd like to see the list of over 50 materials you can cut through the Big Shot, check it out HERE. What will Big-Shot-Brent be demo'ing tomorrow? Stay tuned for the FLUTTERBIES! Today's post is a video tutorial from Big-Shot-Brent (aka as my husband), from when he was demo'ing how to cut & emboss chipboard with the Big Shot machine. This is only the first of some fun videos we made at the Creativ Festival, so I'll continue posting them throughout the week. Great fun was had at Spring Creativ Festival 2009! Well! It was an exhausting weekend, but I have to say this was also by far the BEST Creativ Festival show EVER! But eventually I got them to behave themselves. Aye, Aye, Captain Caroline! I'll be back this week with lots of fun videos of my Big-Man-Brent & his One-Man-Big-Shot-Show, plus the rest of the gang. 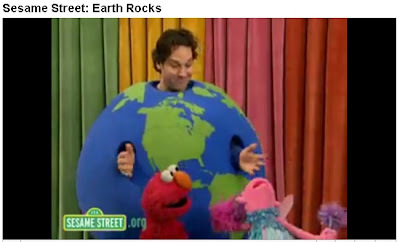 To learn more about Earth Day, please visit this site. 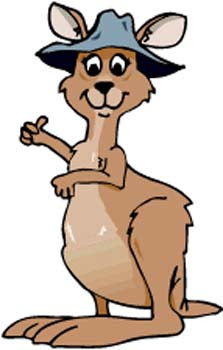 If you have kids, why not check out EcoKids for some great resources? And because we can't forget about the stamping (!!! 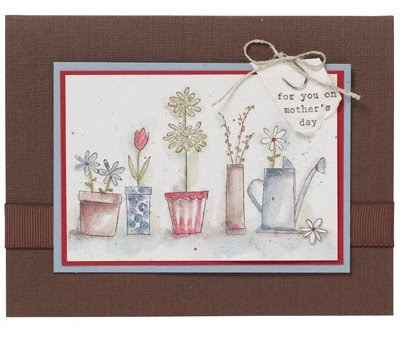 ), here's a nice garden themed card for those of you whose weather is actually conducive to gardening! Not so in Toronto.... yet! 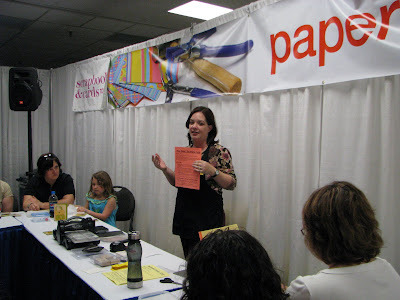 Save Saturday October 3rd for Stampin-Palooza! 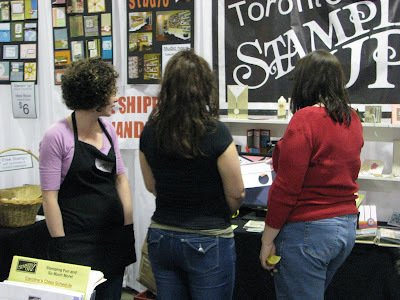 I have been wanting to host a super-duper all day stamping event for years, and now I've finally set up a date for it. The day will be one of FABULOUS presenters, GREAT demos, WONDERFUL make & take projects, DOZENS of display boards, swapping opportunities, DELICIOUS LUNCH and snacks, DOOR PRIZES and a GOODY BAG including a NEW STAMP SET! COST: $80 (early-bird pricing until September 15), $90 from Sept 16 onwards. Cost includes lunch, snacks and a stamp set from the 2009 Idea Book & Catalogue. More details to come -- registration will open July 15 but this basic info is just so you can mark it down in your calendar NOW so that you don't accidentally book something else instead! 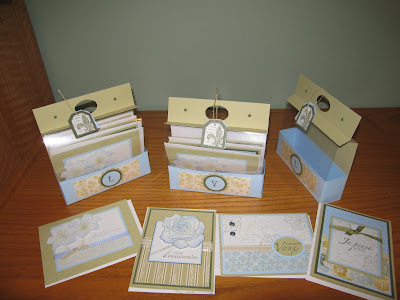 Lisa was one of yesterday's "Fifth Avenue Floral" class participants, so I was so excited to see a post from her today, showing me the picture of all the extra cards she made using the same card templates and acetate box! She needed to make 3 sets as birthday gifts so she used up some beautiful retired Designer paper and French sentiments, and did a gorgeous job. Thanks for sharing, Lisa! 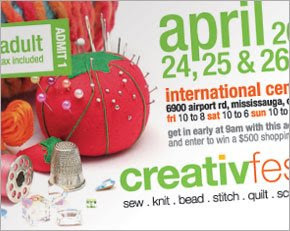 Creativ Festival - Special 2 Day Ticket Sale! The Creativ Festival has announced a special 2-day sale for online ticket purchases for today and Saturday: Buy 2 tickets & get the 3rd FREE! This offer applies to adult or senior tickets and expires 11:59pm Saturday, April 18, 2009. Click here to buy your tickets and use promo code 145SU. Buying your ticket ahead of time allows you early admittance (9am) and of course means you don't need to line up to get them. Hope to see you there next week - Brent and I will be at booth #404 doing demos, M&T's plus I'll be holding 3 FREE workhops over the weekend as well. If you haven't printed out my special coupon yet, don't forget to bring it along! More about the "Canvas Cuts"! 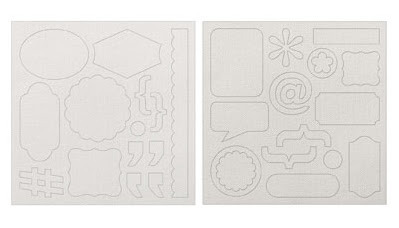 In my April e-newsletter, I shared some of the fun things you can do with our exclusive "Canvas Cuts". Never noticed them before? Don't feel bad -- lots of people haven't! You can find them on page 177 of the Spring/Summer 2009 Idea Book and are very cool, so I figured I'd find another project for you that uses them. 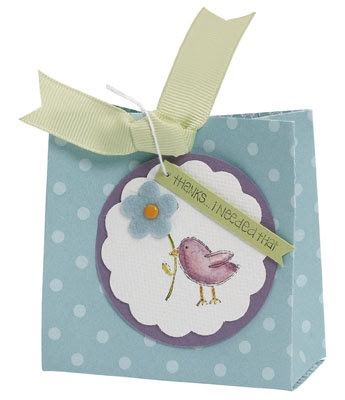 This adorable bird is watercoloured right onto the Canvas Cut. If you live in Canada and missed my e-newsletter yesterday, don't worry! You can sign up here and I'll send it out to you. Celebrating 7 great years with FREE STAMPS! I find it hard to believe that it's already been 7 years, but yes... I joined SU wayyyyy back in April 2002 when they first came to Canada. 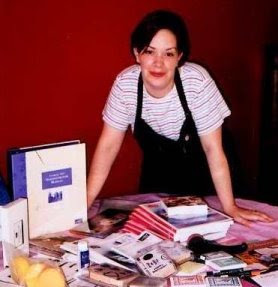 Here's a picture of me with my Starter kit the day it arrived...such a keener I was! Did you know that back in the "olden days" the kit was preselected for you, no choosing what you wanted for stamps, inks and paper? Anyhow, to help celebrate my 7 year anniversary with Stampin' Up!, I'm going to be giving away one free stamp set each month for the next 7 months!! Here's how it works.....everyone who either attends a class or places an order (either online or in person) with me will be given a new chance to win each month. At the end of the month, I'll randomly draw a winner and then we'll start all over again with a new stamp set and a new winner for the next month!! Did you know you can earn more than one chance per month? The more orders or classes you attend, the better your chances at winning will be! Want to know what April's stamp set will be? 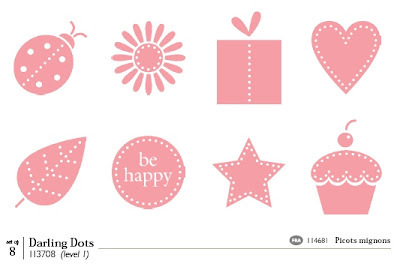 Here it is... the Level 1 hostess set DARLING DOTS! Please note, this offer is valid in Canada only. 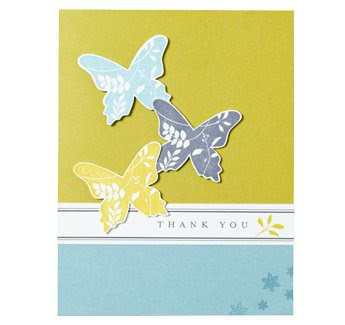 Stampers Club orders *do* count towards this contest! My April customer e-newsletter will be going out tomorrow, so please watch your in-boxes for its arrival. Inside will be more new Spring projects, techniques, the winner of the most recent contest, April specials and more -- so be sure to sign up if you're not already on the list! In these challenging economic times, some potential demonstrators might consider the up-front cost of signing up to be a financial barrier. In an effort to remove this possible barrier for your recruits, Stampin' Up! is trying out the Three Easy Payments option for April only. Click HERE to learn more! Sell your old, retired Stampin' Up! sets at the Creativ Festival! 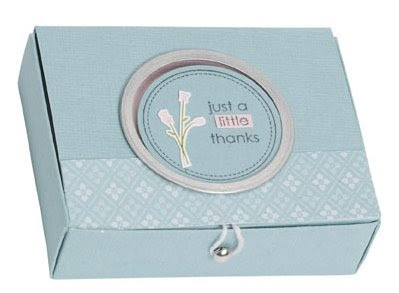 Do you have a wish list a mile long from the new Occasions mini catalogue and Spring/Summer book? Or do you want a bankroll to spend on the NEW catalogue when it's released in July? If you want the opportunity to get your hands on some great new sets and accessories, I'd sure love to help you! 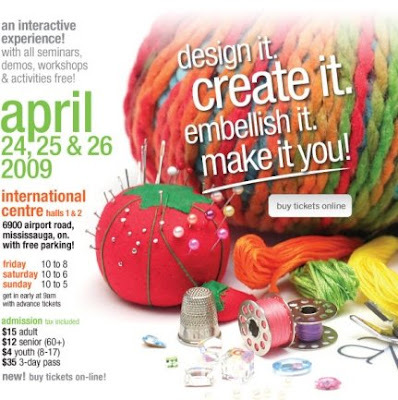 I will be exhibiting once again at the Spring Creativ Festival on the weekend of April 24-26, and I'd be happy to sell any retired & duplicate sets on your behalf. At the end of the show, you can then use the dollar amount that your sets sold for to purchase NEW catalogue product of your choice, from me. It's a win-win situation and you'll clear off your shelves of older sets in exchange for NEW! Remember, if you are interested in attending the Creativ Festival yourself, you can order your tickets online, rather than line up and pay at the door. Simply click here and use code 145SU. 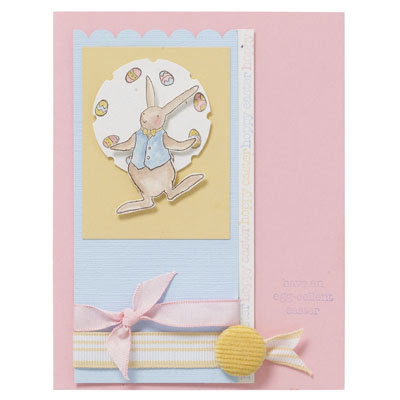 With Easter just around the corner, you'll want to make especially egg-cellent cards like this one for your friends and family this month. Don't worry--stamping is much easier than juggling eggs! 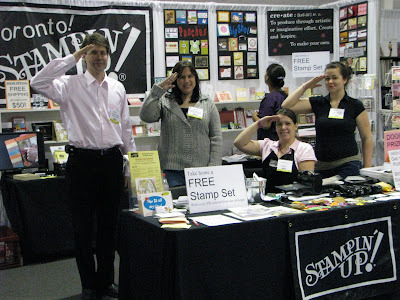 Way to go, Stampin' Up! In late February, Stampin' Up! wanted to respond to the devastation wrought by fires in northern Australia. They organized a relief effort, donating 50 percent of the sales of a select group of stamps to the Australian Red Cross. Because of these relief efforts, their final donation amount will be $77,889.63 AUD! Isn't that amazing? One needs to acknowledge the hard work of Australian and New Zealand demonstrators who encouraged their customers to purchase the donation stamp sets. Many of these demonstrators, in many instances, made personal sacrifices by offering part or all of their commissions from special events to aid the relief efforts. More fun with the Big Shot: 2 new FABULOUS pop-up die videos! 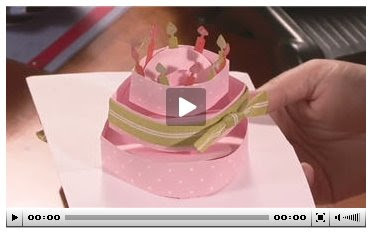 Take a look at these 2 fun videos of some new Sizzix 3-D dies and what they can make! 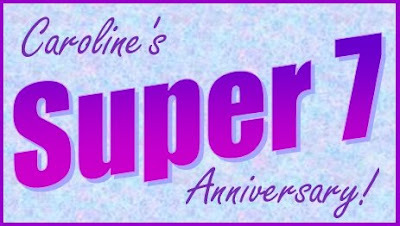 If you want to check out all the other *exclusive to Stampin' Up! * dies, you can see the full selection HERE. Pop-Up die -- cake: You've heard of people popping out of cakes, but what if you could get a cake to pop out of your card? Now you can using the Three Tier Cake die! 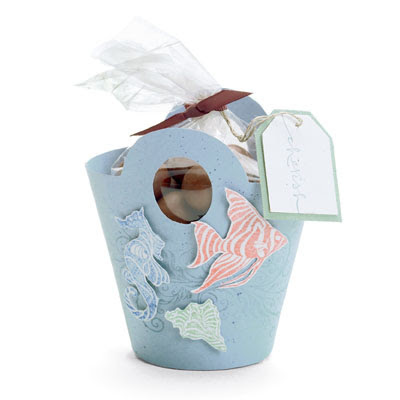 Pop-up die - Ball: Create an invitation to a beach party or create a pop-up brag book using the 3-D Ball die. This die will make creating unique invitations and cards lots of fun.